IntelliVision, a pioneer and leader in AI/Deep Learning video analytics software for Smart Cameras, today announced that the latest version of its license plate recognition (ANPR) and detection software, which uses a combination of AI, CNN (convolutional neural network) and Deep Learning, has achieved accuracy numbers as high as 99% in real-world customer environments. 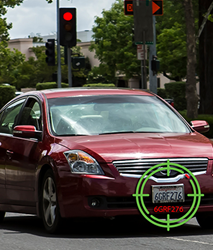 IntelliVision’s License Plate Recognizer (LPR/ANPR) has performed and matured over many years of application, taking into account variables such as movement and high speeds which are natural to the environment of vehicle monitoring. Using still images or video feeds, the product can recognize and capture information located on license plates and automatically log this information for future inspection. Real-time searching can also be performed on each plate detected, comparing the information gathered with a stored database of license plates. IntelliVision’s License Plate Recognizer is part of a portfolio of products for Smart City, Smart Auto and Intelligent Transportation Systems (ITS). IntelliVision products are in over 3 million cameras worldwide, including 15,000 cameras at 3,000 intersections in the United States, taking the place of under-street induction loops. IntelliVision is a market leader in AI and Deep Learning video analytics software for Smart Cameras, providing video analytics solutions for several markets including Smart Home/IoT, Smart Security, Smart Retail, Smart Business, Smart City, big data analytics and video search. IntelliVision technology has been recognized as the Brains Behind the Eyes™ for many applications deploying and using cameras to analyze video content, extract metadata, send out real-time alerts and provide intelligence to other home, business and security systems. IntelliVision provides the largest suite of video analytic products in the market today. Its products are used by Fortune 500 companies, the US Government and many leading brands. IntelliVision is headquartered in San Jose, California with offices in Asia and Europe.